May 2015 marks Minnesota Rising's 6th anniversary! We're excited to look back at the powerful work we've helped to catalyze over the past six years, including publishing 1,337 blog posts, hosting five annual Un/Conferences, developing four Collaborative Competence Learning Labs to help young leaders navigate and shape the emerging future, and launching LOCUS to emphasize identity-driven leadership for emerging leaders of color. One of our proudest accomplishments is having collaboratively designed the "Our Minnesota" Cascading Conversations Tour and hosting young Minnesotans in conversations across the state about their values and visions for the future. While we cannot develop a strategic plan for our generation, we can be strategic about our intentions for the Minnesota we will create together. 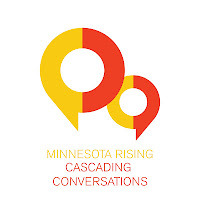 The Cascading Conversations Tour is an attempt to discover what we have in common, to learn about what’s working in Minnesota that we can build on, and to uncover how we can work individually and collectively to achieve the future we desire. In celebration of our anniversary, we're excited to share with you over the coming days about the report and our initial findings. To start, today we'll share about how we conducted the research and the demographic background of Tour participants. Keep an eye out next week to learn how this group of emerging leaders views and does leadership in Minnesota! And as the name implies, we are looking to continue cascading these conversations across the state this summer - and invite you to join us. Let us know if you'd like to be invited to participate in a conversation and/or join our Advance Team and help host 3 to 5 conversations this summer! The “Our Minnesota” Cascading Conversation tour began in 2011 with question development. Influenced by practices from the Art of Participatory Leadership, designers crafted open-ended questions that first focus on individual stories and preferences before shifting the orientation towards communities and the state. The initial round of conversations came through a convenience sample that in total yielded 157 responses. Conversations were held between November 2011 and December 2013. Individuals conducting interviews were guided by instructions at the start of the conversation guide and those interviewed were invited at the end of the conversation to interview someone else. Two individuals trained in qualitative analysis provided the initial study to iteratively identify the common themes across participants. 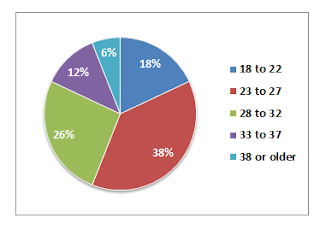 Little demographic information about respondents was captured during this time. Interviewers anecdotally reported that the majority of participants appeared to be white, college-educated, and employed. A desire to reach a broader audience led to a revision of the feedback form which asked for participants to identify gender, race/ethnicity, highest level of educational attainment, work situation, and sexual orientation. The conversation questions remained the same. Organizers planned a second round of conversations to more intentionally collect responses that better represents the diversity of Millennials in Minnesota. They assembled an advance team of individuals who identified across a range of identities and provided training on holding the conversations and reporting the responses. Their charge was to conduct conversations with individuals from their communities. Between June and November 2014, the advance team conducted and reported results from fifty conversations. The same two individuals who had conducted the qualitative analysis from the first round of conversations did the same for the second round. They used the emergent codes from the 2011-2013 sample in addition to identifying new themes unique to the 2014 data set. It is important to note that the data presented in this report are not representative of all Millennials in Minnesota. Rather, these data are meant to be a starting point for dialogue about the thoughts and opinions regarding the future of Minnesota. Minnesota Rising is continually focused on seeing whose voices are missing from the conversation and working to invite greater participation. Additional conversations will continue to engage a variety of participants in an effort to broaden the pool of responses and reflect the state’s diversity (e.g., racial, ethnic, gender, sexual orientation, socioeconomic, and geographic). Looking at the 50 participants from the second round of conversations (demographic data were not collected from the first round of conversations), they are primarily between the ages of 23 and 32, are well-educated, and employed full-time. 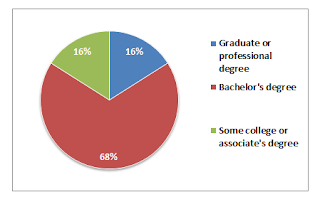 Eighty-four percent of respondents had completed a bachelor’s or higher. For employment, 80 percent had a full-time position at the time of the conversation. About 38 percent of Minnesota residents age 25-34 have earned a bachelor’s degree or higher. Of all entry level and early career-age adults (age 16-34), 73 percent are working. Seventy-four percent of respondents identified as female, 24 percent as male, and two percent as gender queer. 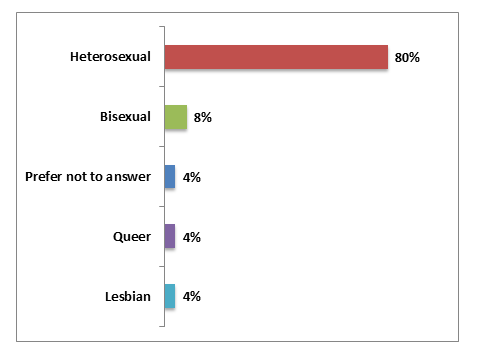 Out of the 49 respondents who provided information about their sexual orientation, four out of five identified as heterosexual. All fifty participants provided their race and ethnicity in an open ended question. The two tables below show all responses. The first table includes responses which came up more than once and the second includes those that only appeared once. The three most common responses were Caucasian or white (32%), African-American or black (18%), Hmong (10%), and Asian (10%). In Minnesota, one in four millennials is a person of color, so this set of respondents over samples that demographic. Compiled by Minnesota Compass in March 2015 from U.S. Census Bureau, Decennial Census (2010) and U.S. Census Bureau, American Community Survey (2013) The calculation does not include residents in the armed forces.